***Ideal To Share Or Gift*** Bulk packed in a polybag for secure packaging, these bible verse wristbands are sold as sets of 10 identical bracelets. Perfect to share with close friends and family. ***Durable Construction! 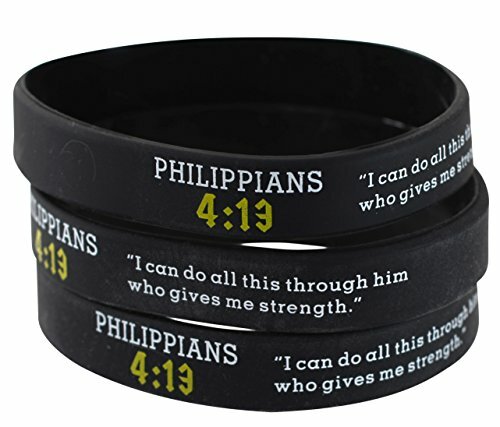 *** Each wristband is made from premium silicone material with crisply colored and clearly imprinted bible verses. ***Choose Your Favorite Verse*** Multiple scripture verses available. Select your style above and choose your favorite inspiration bible verse to wear with pride. If you have any questions about this product by Forge, contact us by completing and submitting the form below. If you are looking for a specif part number, please include it with your message.